A collection of the nation’s most inclusive organisations & diversity influencers will gather this November to honour those that lead in diversity, inclusion and fairness in all aspects of diversity. The Inclusive Companies Awards is the only awards ceremony that rewards organisations for harnessing a truly diverse workforce, thus recognising the significant efforts of organisations nationwide that excel in their commitment to equality and inclusion across all strands of diversity. The awards will cover excellence in all areas of diversity including age, disability, gender, sexual orientation, race and religion, as well as highlighting diverse employers and employees across a wide variety of sectors including housing, public, private, charity and education. 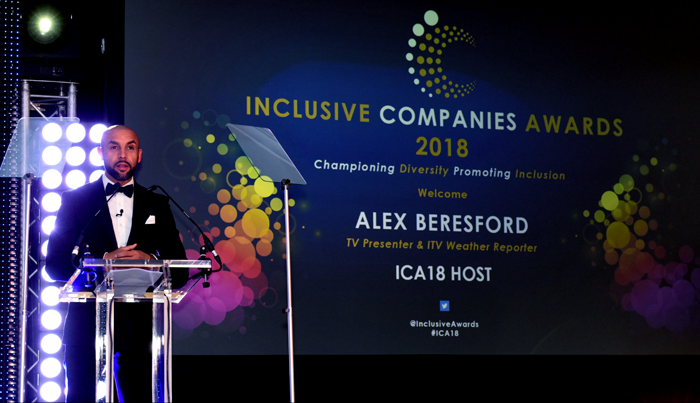 The Inclusive Companies Awards will illustrate some of the nation’s most inclusive organisations, gathering each year to recognise those that lead in equality, diversity and fairness, in all aspects of business. Corporations, charities and organisations that operate in the UK will be honoured at the ceremony for their remarkable devotion to harnessing a diverse workforce, mirroring the rich diversity of the market place they serve. Celebrating true diversity in its purest form should be an integral part of every companies ethos, and the annual awards ceremony will highlight organisations that see workplace equality as more than just policies and practices, and is something that runs throughout the very heart of what they do. Employers that tackle issues internally and externally in the field of inclusion should be applauded, and the Inclusive Companies Awards showcase organisations that have gone above and beyond their corporate social responsibility. With the increasing wealth of diversity in Britain, these awards recognise the importance of rewarding organisations and individuals that have shown outstanding commitment and dedication to equality across the UK. The Inclusive Companies Awards also focus on leading diversity champions, significant role models and extraordinary employees that have displayed motivation, innovation and commitment to equality, diversity and inclusion.